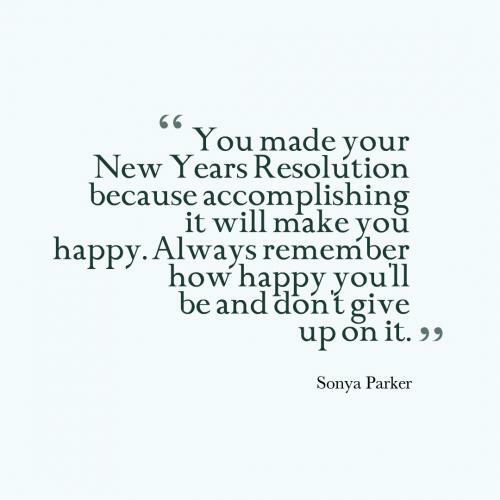 You made your New Years Resolution because accomplishing it will make you happy. Always remember how happy you'll be and don't give up on it. Happy New year to all! Wishing you all the best for 2016. May you always be showered with the warmth of God's love and blessings! May this new year brings happiness, peace, success, and prosperity for everyone. Happy new year. One chapter of your life has just finished and another chapter has just begun. Enjoy the new year and have a blessed 2014. 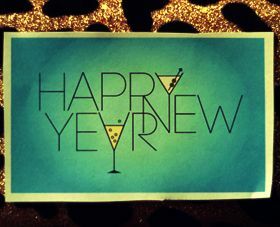 May your New Year flourish with new discoveries, wonderful inspirations, and happiness to fill your heart. Happy New Year, it's time to unfold new horizons and realize new dreams, to rediscover the strength within you, to rejoice in simple pleasures and gear up for a new challenges. Change our life and make it new and help us lord to live for you... Happy New Year! You will not have a better tomorrow if you can't forget about yesterday. Happy New Year. The last week of December is much about revelry and celebrations, celebrations welcoming the onset of a new calendar year. People rejoice and celebrate this event on the last day of the year popularly known as 'New years' eve' with friends and family. As the clocks strike twelve at midnight, they all celebrate the much awaited and 'happy new year'. For many that's when the party just begins and it lasts all night long. 'Happy new year' is perhaps the most popular of all the greetings that exist. It has been prominently used for almost a century now amongst friends and families in all parts of the globe. The greeting card galleries are thronged by people who wish to send their greetings across in a special way. The 'new year' day is also marked by fire crackers, warm greetings, late night parties, events, drinks etc. and not to forget the catchphrase of the day 'Happy New Year'.